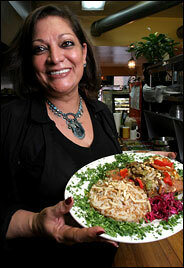 Okay – had dinner last night at hands-down the best Middle-Eastern restaurant I’ve been to since I moved to NYC. Nestled on Third Avenue in neighboring Bay Ridge, Tanoreen is a must. Owned by chef Rawia Bishara, who circulates the restaurant throughout the evening checking to make sure every table is happy and enjoying themselves, Tanoreen has been reviewed by the NY Times and listed in the “Best of NY” in New York Magazine on more than one occasion. Sniffles, coughs and body aches. Flu/cold season. Even Guiliani is getting hit. But you need not check into your local emergency room just yet. Some homemade chicken soup and matzo balls do the trick every time. Here, James Beard Winning Chef Dan Barber shares his recipe for rosemary matzo balls. A little scallions and rosemary, must lend an aromatic flavor to these. Barber is the chef, owner and creative director of Blue Hill at Stone Barns. 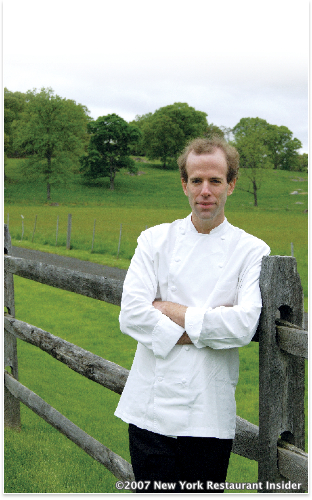 “Determined to demonstrate his philosophy of cooking with sustainably grown and local ingredients, Dan established Blue Hill Catering (formerly Dan Barber Catering, Inc.). He quickly earned a reputation for providing warm and attentive service along with unique menus.” For more on Dan, visit the link above to Blue Hill at Stone Barns, or click here to read about him at the Center for Health and the Global Environment. If you want Dan’s recipe for Chicken Soup to go along with the balls, you can find it here at Food & Wine’s website. In a medium bowl, whisk the eggs with the chicken fat, club soda, scallions, rosemary and salt. Whisk in the matzo meal. Refrigerate for 1 hour, until slightly firm. An ode to Berlin. What a city. Check out this recipe for a new take on an old German favourite – Spaetzle. 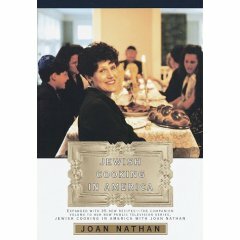 Adapted from Joan Nathan’s Jewish Cooking in America. You should also check out the website PBS has for her show of the same title. There’s a whole index of recipes. Enjoy! Coarsely grate the sweet potatoes. In a separate bowl, mix the flour, sugar, grown sugar, baking powder, and all spices. Add the eggs and just enough milk to the dry ingredients to make a stiff batter. Add the potatoes and mix. the batter should be moist, but not runny; if too stiff, add a little more milk. Heat 1/4 inch of peanut oil in a frying pan until it is barely smoking. Drop batter in by tablespoons, flatten with soon. turn when latkes are golden, but keep turning often. Fry over med heat several minutes on each site until golden. Drain on paper towels and serve. Makes about 16 3 inch pancakes. Matthew Goodman’s “Jewish Food: The World at Table” is a great book. 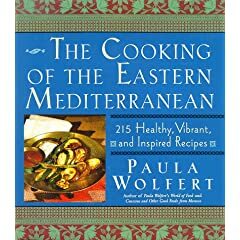 He’s got a great range of recipes from all over the world, as the title indicates, and they are unfussy, and delicious. Below is a favorite, from p. 162. “Culinarily, the best way of using pomegranates may be with pomegranate molasses, a fixture in the cookery of Jews from Syria, Iran and Iraq. A thick, brown, syrup, pomegranate molasses has a tangily sour taste with a slight undertone of sweetness. It’s used to flavor the sweet-and-sour dishes prominent in the cuisine of the region, in much the same way as tamarind concentrate;to my taste though, pomegranate molasses is more pleasing, fruitier and less powerfully acerbic. 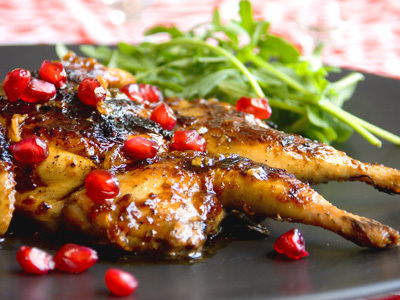 Above – Grilled Quail in Pomegranate Molasses; click here. Click here for a recipe to make your own Pomegranate Molasses at home. Add chicken stock, figs, pomegranate molasses, and honey and mix well. Cover and bring to a boil. Lower the heat and simmer, covered for 10 minutes stirring occasionally. Return the chicken to the pan and simmer, uncovered, until cooked through, about 35 minutes. Transfer the chicken to a large serving platter and pour the sauce over it. Serve hot.